• ไฟเลี้ยงสเต็ปมอเตอร์ VCC = 5VDC. • Number of Phase is 4. • Speed Variation Ratio is 1/64. • Stride Angle is 5.625° /64. 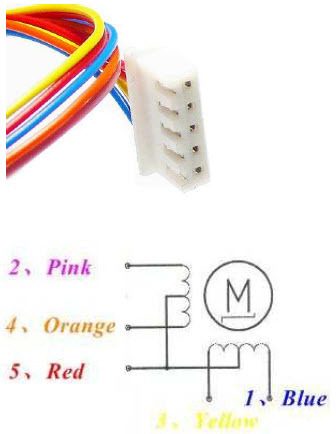 • DC resistance is 50Ω±7%(25℃). • Idle In-traction Frequency is > 600Hz. • Idle Out-traction Frequency is > 1000Hz. • In-traction Torque is >34.3mN.m(120Hz). 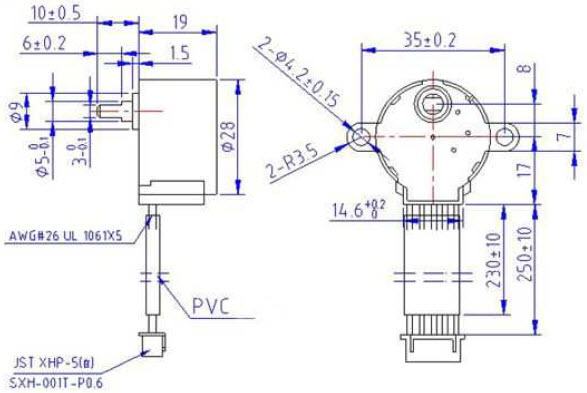 • Self-positioning Torque is >34.3mN.m. • Friction torque is 600-1200 gf.cm. • Pull in torque is 300 gf.cm. 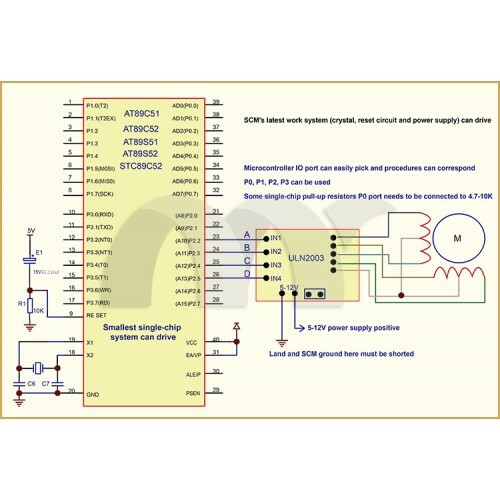 • Insulated resistance is >10MΩ(500V). 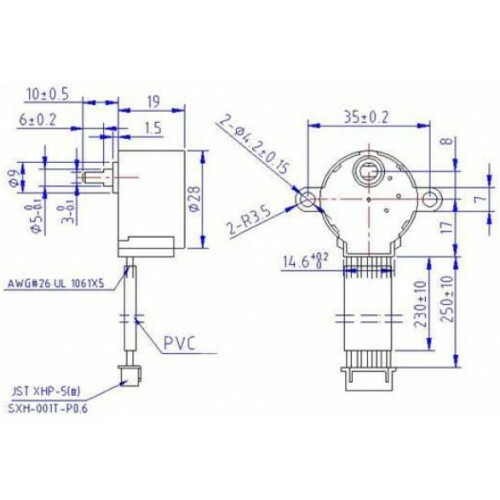 • Insulated electricity power is 600VAC/1mA/1s. • Insulation grade is A. • Rise in Temperature is <40K(120Hz). • Noise is <35dB(120Hz,No load,10cm). • ไฟเลี้ยงบอร์ดไดร์ฟมอเตอร์ VCC = 5-12VDC. 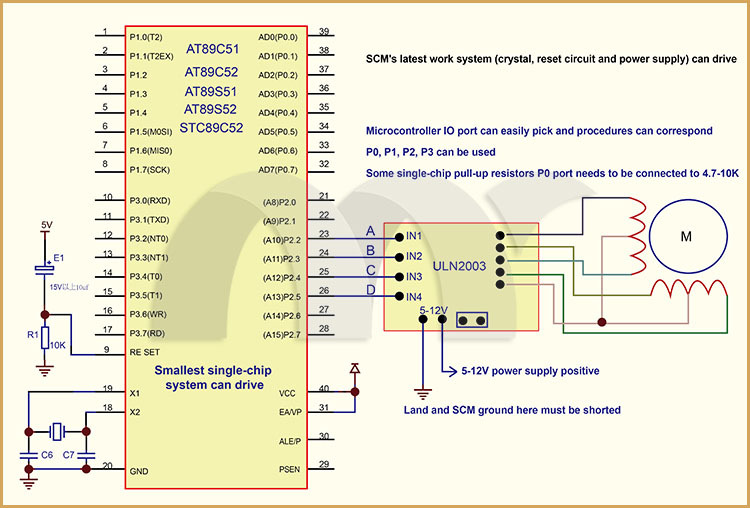 • ULN2003 Darlington using high-power stepper motor driver chip. 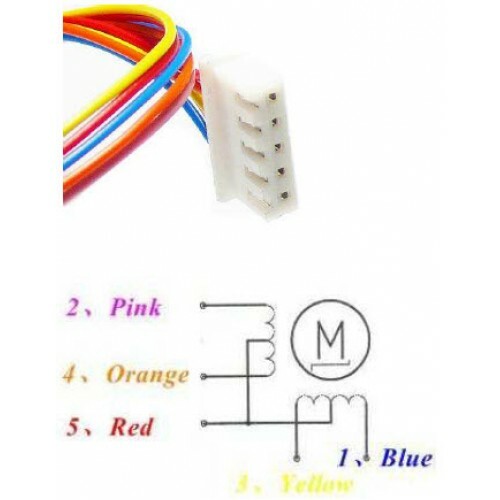 • มี LED แสดงสถานะการทำงาน A, B, C, D four-phase LED indicates the status of the stepper motor work. 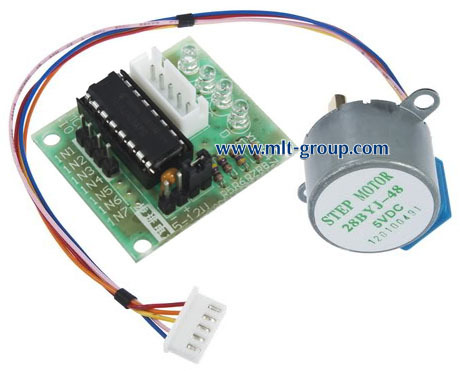 • Stepper motor with a standard interface, when used directly pluggable. • Step Motor 5VDC x 1 pcs. 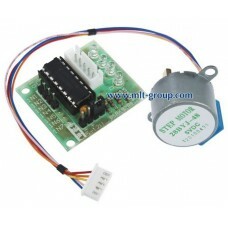 • ULN2003 Motor Driver Board x 1 pcs.